The bigger they are, the harder they fall. But the oil industry will prove a slippery target for ambitious tech disrupters. In the slick, disruptive world of 21st century business, where we are frequently told change is the only constant, the oil majors are starting to look like they belong in a museum. Indeed, like the crude tehy extract from the ground, there is something Jurassic about their staggering size and great antiquity. Shell, BP, Exxon - these giants have bestrode the industrial landscape for up to a century, seemingly invulnerable to the dramatic turns in technology or the cyclical downturns that occasionally starve them of profits. We are in one such downturn now - and it’s a bad one – yet still the oil majors dominate lists of the world’s biggest companies, challenged only by the tech giants. If Saudi Aramco floats, as appears likely in a few years’ time, it could be two or three times bigger than Apple. But can they really be free from the law of business atrophy, that success breeds complacency, which makes it vulnerable to dreaded but much-needed disruptive innovation? Indeed, the oil majors perfectly fit the traditional archetype of a company prone to disruption - vast, ancient and incredibly slow to move. 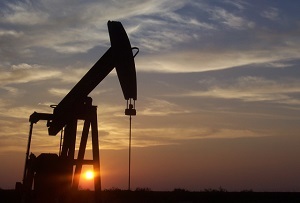 READ: Whatever happened to peak oil? It’s no secret where the threat will come from. Electric cars threaten the lifeblood of the oil industry, the world’s reliance on petrol and diesel. According to data from Statistica, road transportation accounted for 43% of oil consumption. Though electric cars would still need charging, oil has also lost its place in electricity generation, with only 4.4% of the world’s wattage coming from the black stuff in 2013. This isn’t just a pipe dream, either. The car giants are without exception investing heavily in electric vehicles, themselves trying to avoid disruption from Tesla. With favourable tax arrangements for clean cars and an ever expanding network of charging points, electric cars will only become more commonplace. The writing isn’t scrawled all over the wall just yet, however. For a start, electric cars will take much longer to take hold in the growth markets of the developing world. It will take even longer for the technology to power electric planes or cargo shipping to breakthrough. Even then, a substantial proportion of oil consumption is in petrochemicals (10% in 2013) and general industry (16%). Even in the worst case scenario, it won’t disappear entirely. In the absence of viable alternatives, the pace of change has also been very slow. Though oil has lost some share of global primary energy production (falling from 46.2% in 1973 to 31.1% in 2013 according to the IEA), this has been offset by the rise in overall demand over that period. Barring a truly dramatic technological breakthrough, this means the oil majors have time. Historically, they’ve hedged against cyclical downturns by investing in the counter-cyclical refining business and in natural gas, which is a growth industry. To survive long term and at scale, the oil giants will need to invest in other areas, whether that’s green energy production or the extraction of other natural resources. We’re talking decades before this will be a pressing need, however – and who looks that far ahead? Neither shareholders nor politicians have proven particularly adept at thinking long-term. If the oil majors want to avoid the fate of the dinosaurs, though, they will need to do more than they have done to get ahead of the curve.